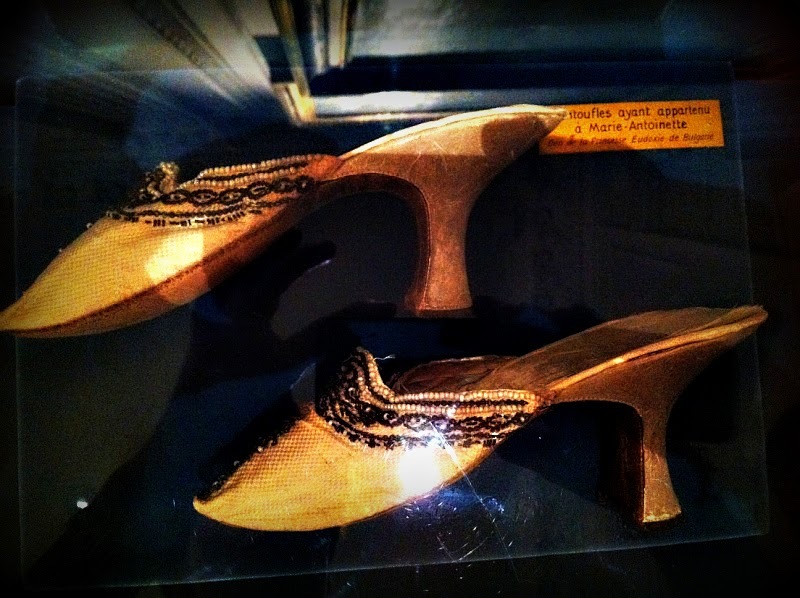 I have found four pairs of shoes that Marie Antoinette owned and one fabulous pair she didn't own! 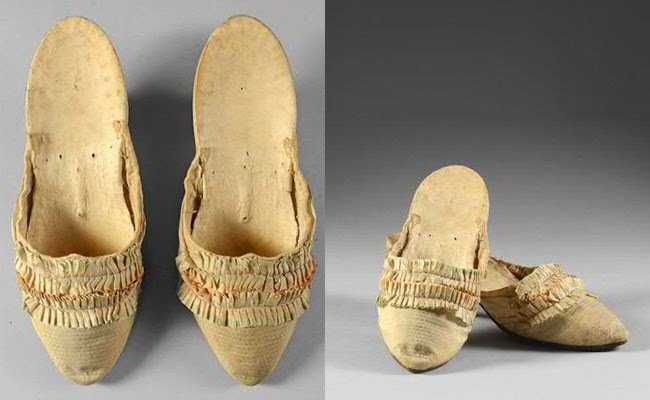 These shoes were auctioned off in 2012, said to be a pair belonging to Marie Antoinette. 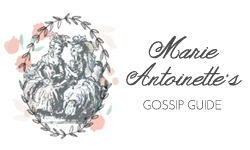 To further the provenance, the shoes come with the story that Alexandre-Bernard Ju-Des-Rets gave the shoes to Marie Anotinette as a gift when she was twenty years old. 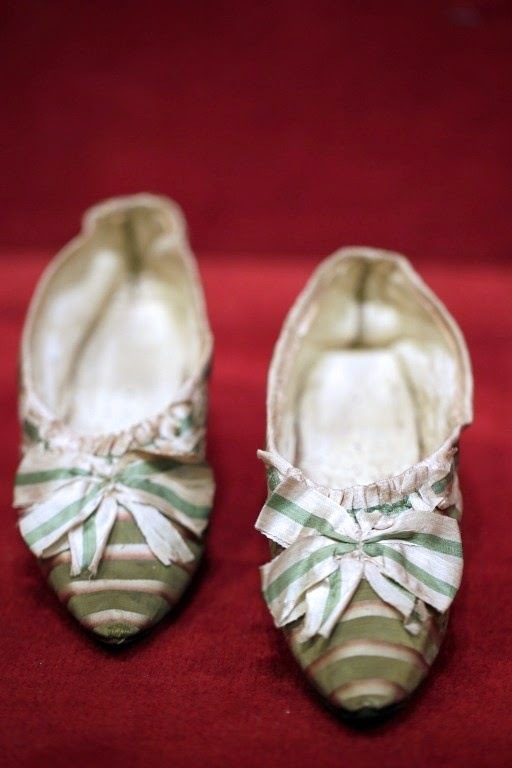 Marie Antoinette's shoes in green and pink with bows. NY Daily News. 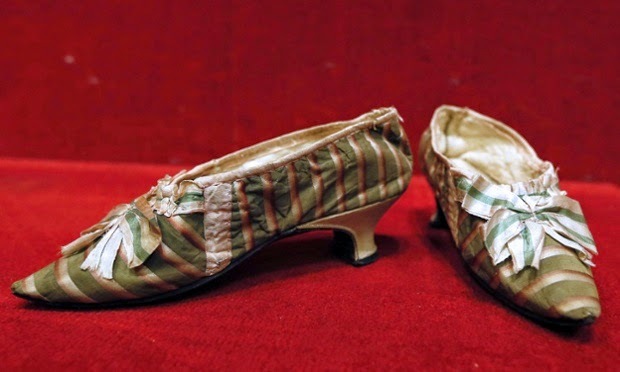 These pink and green slippers were sold by Paris Drouot auction house which had estimated they would fetch between $8,000 and $13,000. The shoes sold for $65,600. 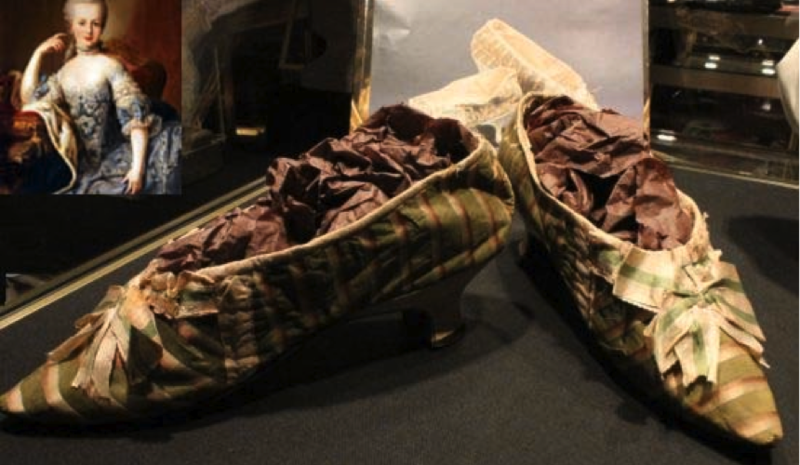 In 2010 these tricolor-ribbon slippers, also said to have belonged to Marie Antoinette sold for $57,000. 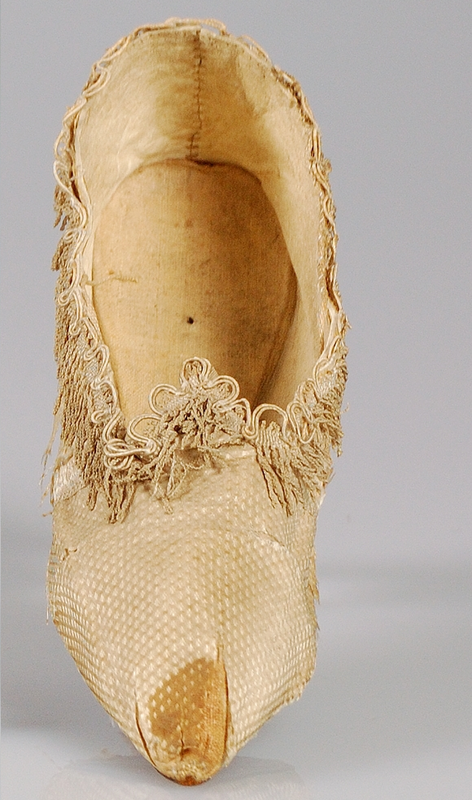 Slippers that belonged to Marie Antoinette, Musee Carnavalet. Photograph by Sandrine. 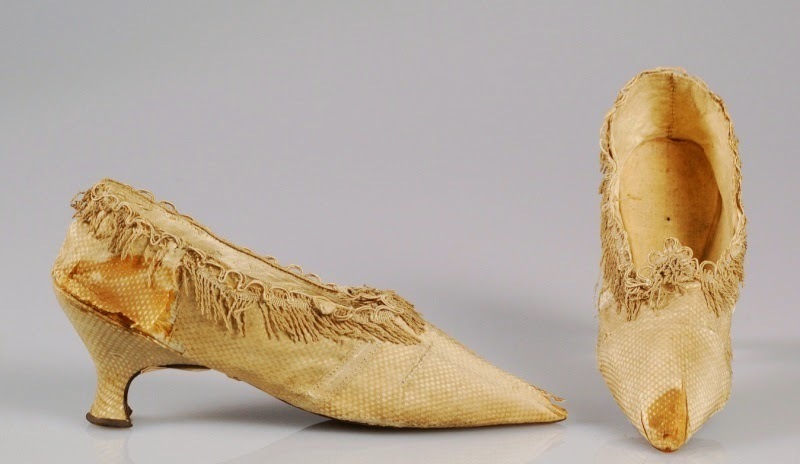 "Worn by Maria Antonietta, late Queen of France at the time She was taken at Paris" and an adhesive label "Marie Antoinette's Slippers"
Slipper. 1790–95, Silk. Brooklyn Museum Costume Collection at The Metropolitan Museum of Art. Slippers. 1790–95, Silk. 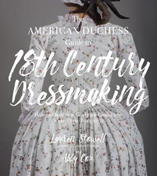 Brooklyn Museum Costume Collection at The Metropolitan Museum of Art. 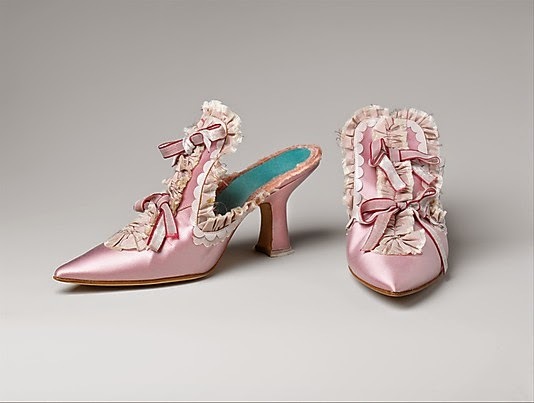 And just for fun...The Metropolitan Museum of Art has a pair of shoes in their collection that was used in the film, Marie Antoinette, by Sofia Coppola. 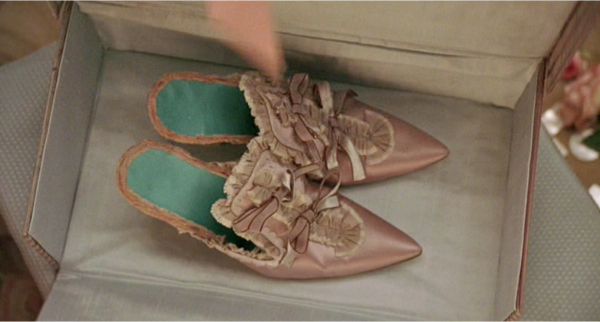 The shoes were designed by Manolo Blahnik (among several other pairs) for the film. The designer gifted the shoes to the museum in 2006. 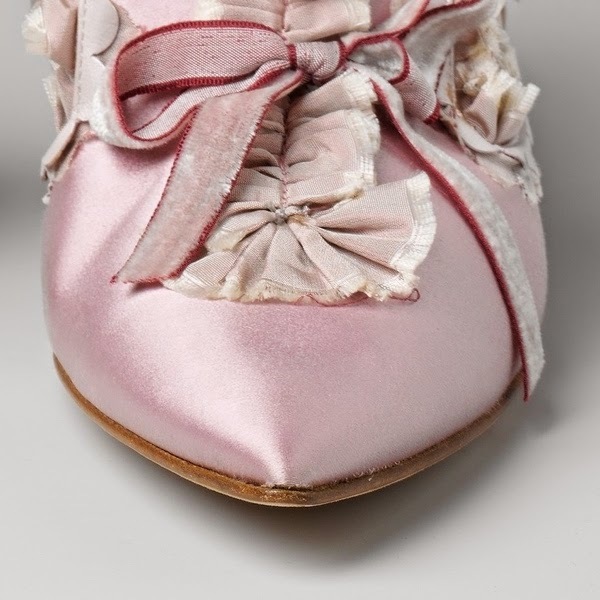 Manolo Blahnik, Shoes made for the film, Marie Antoinette. 2005-6, silk, leather. Gift of MB 2006. Metropolitan Museum of Art. 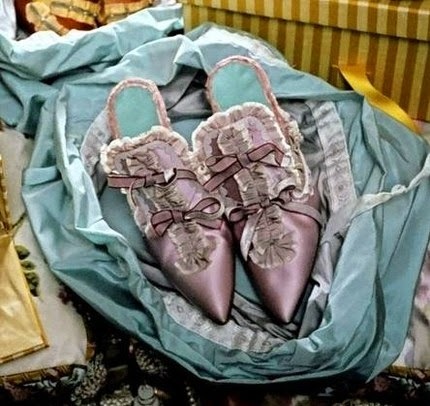 Image of the shoes from the film, Marie Antoinette, 2006. Fascinating! Any idea what size they are? 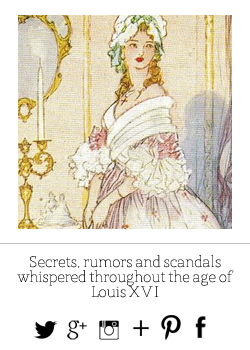 I've read that she was a US size 6! Thanks! 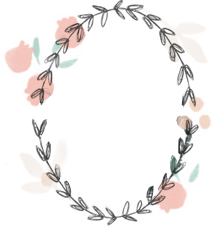 :) I followed you on BL too!